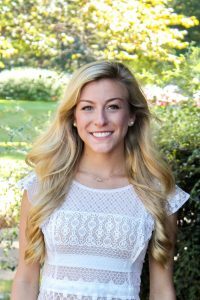 Katie Gatti was selected as a finalist for Public Relations Student of the Year in the 2017 PRWeek Award. The senior, majoring in public relations, serves as director of the Capstone Agency, a nationally affiliated, student-run, integrated communications firm housed in the department of advertising and public relations. She is the first UA student to be recognized for this honor. If selected as a top-two finalist, she will be flown to New York in March for the PRWeek Awards, where the overall winner will be announced. The application process included a prompt that asked to create a launch campaign for a hypothetical spokesperson character for IKEA North America. The campaign had to be backed by comprehensive research, indicating precisely why this character was a good fit for the company. The next step for Gatti will be pitching the her campaign to a PRWeek news editor. The criteria for judging entries include creativity, writing ability and an understanding of PR principles and strategy. The judges for this award include a PRWeek senior editor, an educator and an in-house PR department leader.